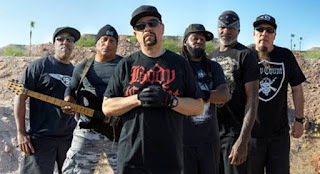 Ice-T’s BODY COUNT just launched the new track “Black Hoodie” (taken from the band’s forthcoming album “Bloodlust”) via this explosive music video directed by Treach Tribe, so click on the link below now to check it out. Ice-T states: "This type of thing happens everyday and nobody marches or it never makes the news. The video speaks for itself." “Black Hoodie” and the previously released tracks “No Lives Matter” and “The Ski Mask Way” are available as instant-grats on iTunes, Amazon etc. as well as on all major streaming platforms. BODY COUNT’s new album “Bloodlust” will be released as Digipak CD, Gatefold LP (including the entire album on CD) and digitally on March 31st. 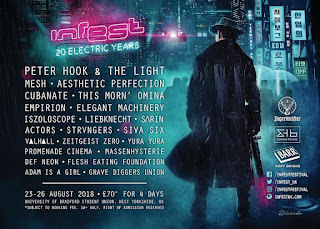 Ice-T and BODY COUNT have perfected their mix of thrash, punk and bottom heavy doom across five albums, hitting a zenith with the unstoppable “Manslaughter”. They embody the monumental Southern California tradition of street born punk bands like Suicidal Tendencies combined with the aggressive aural napalm of Slayer. This is abrasive, in-your-face heavy metal at its very finest.